I've been scouting out some things that are sweet--figuratively, not literally! Listen, fashion is a way to show your personality. 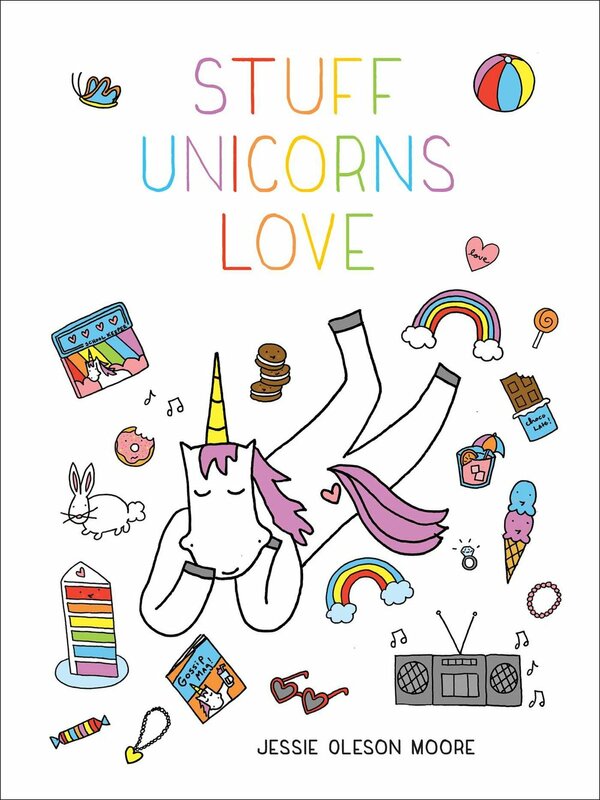 Why not show how special you are with magical and sweet unicorn apparel? Here are ten wonderful finds from around the web. I personally own a number of them! Sequined unicorn sweater. 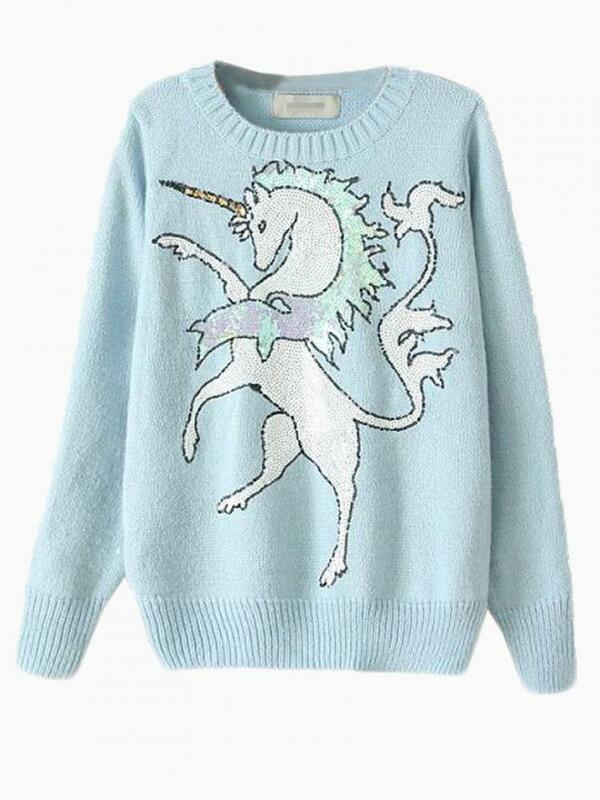 A soft baby blue sweater gets a totally magic upgrade with a unicorn rendered in sparkly sequins. 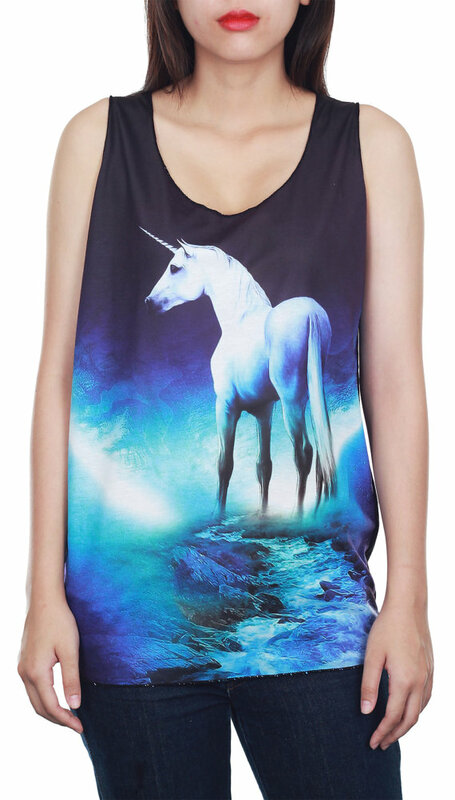 This stately unicorn is absolutely wear-to-work appropriate. Available on choies.com. Spacey unicorn leggings. A sci-fi background makes people notice these tights right away, but what makes them say "ohmigod where did you get those?" is the wondrous unicorn which spans both legs. I wear these to my yoga class and am always the best-dressed. Available on wanelo.com. Unicorn yoga pants. These unicorn pants are specifically designed for yoga--that is to say, the stitching is a bit more secure than the leggings above. They're also pricer, though--$66. I'm saving my pennies, because they're also made of all recycled materials and I can feel good about that. Available on teeki.com. Vintage unicorn dress. Those little motifs are tiny unicorns! OMG! I love the sweet quality of this dress, but with a slightly saucy color. You're totally allowed to buy it for me. Available on unique-vintage.com. 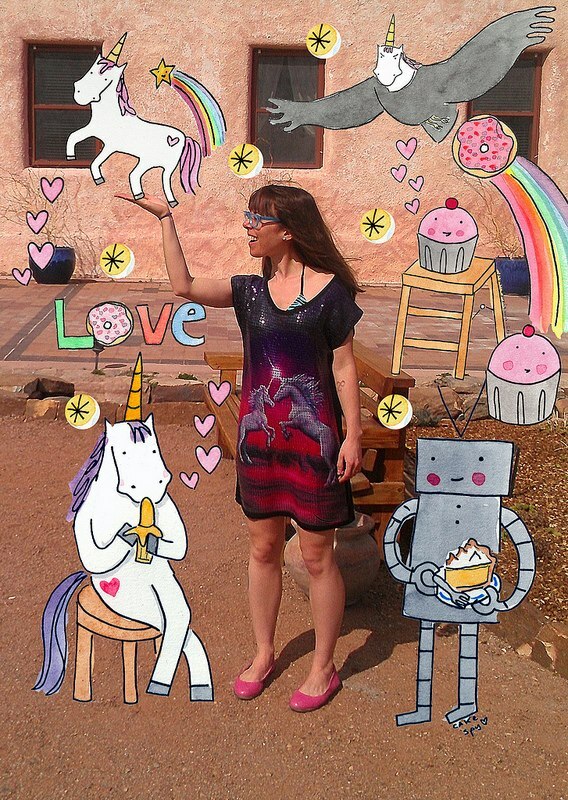 Unicorn shirt dress. This magical dress is perfect for wearing anywhere. As a beach cover up, or I loved to wear it to book signing events on my last tour! Available on amazon.com . 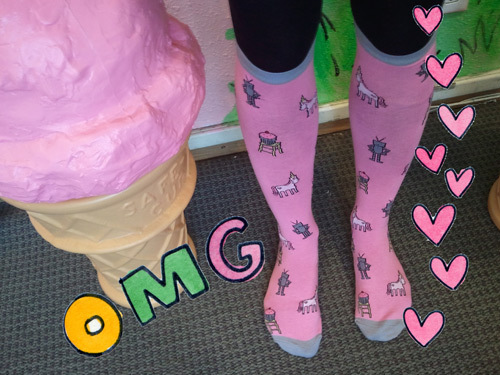 Unicorn cupcake robot socks. Also known as "trifecta". What else do you need for happy feet? These adorable socks were designed by me and produced by Sock it To Me. Available on sockittome.com. Unicorn scarf. 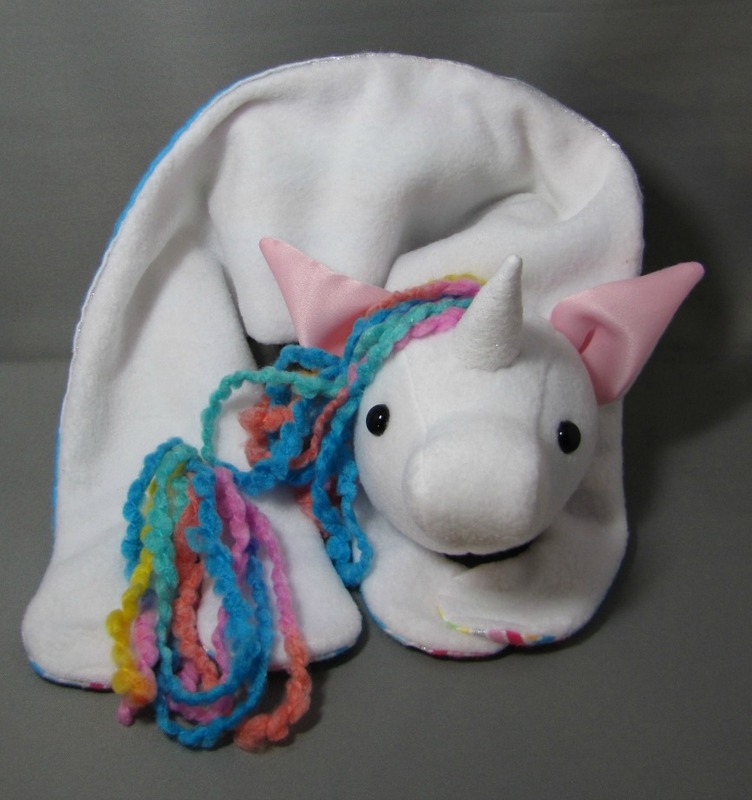 It is like having a fancy mink stole, but it is actually a MAGICAL UNICORN! That is a very special thing to have around your neck. Rainbow-hued mane included. Yes. Available on devoutdolls.com. Unicorn hat. I already mentioned I own a lot of this stuff, right? 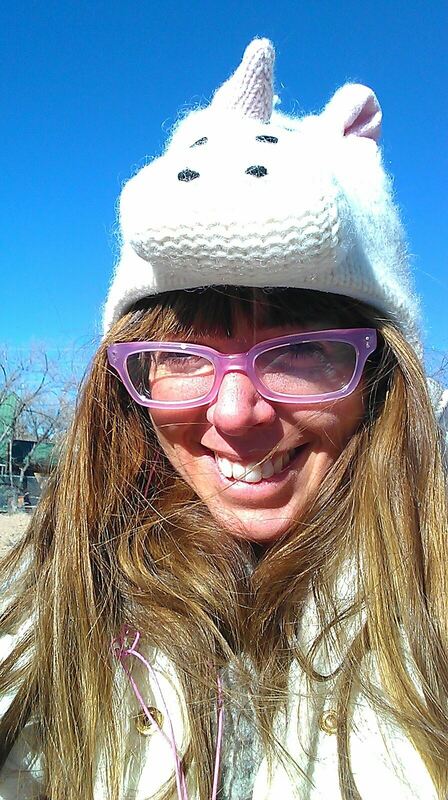 This hat is as warm and cozy as it is adorable. It is hilarious to walk up to people and ask "have you seen my unicorn?". Or at least, it's funny to me...every time. Available on amazon.com . 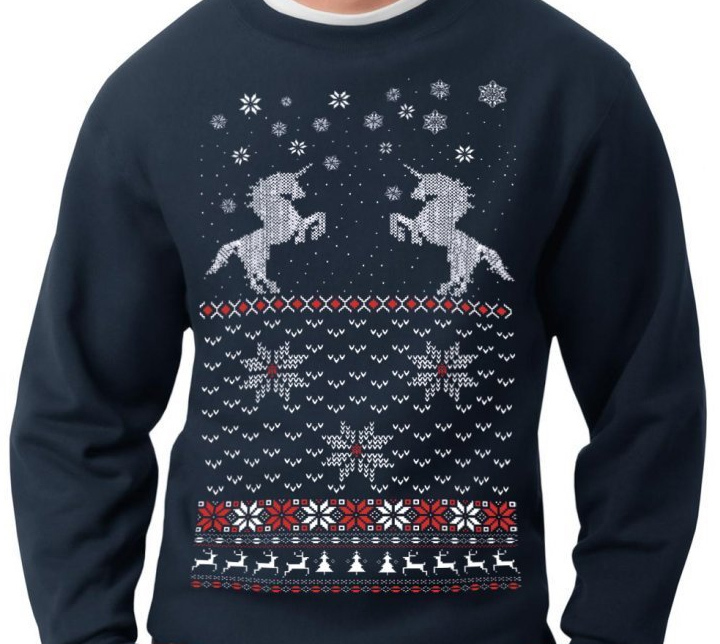 Unicorn ugly sweater. Did you miss out in the Christmas miracles department? Make up for it with this amazing sweatshirt, decorated to look like an ugly sweater. Available on amazon.com . 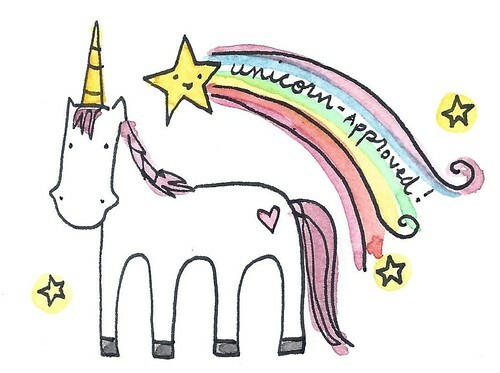 Have you seen any unicorn apparel recently that you think I should buy?